Recently, my granny gave me a huge bag of lemons that she picked from her yard so I’ve been on a lemony baking binge for the last week which means many tart and sweet food posts coming your way very soon! 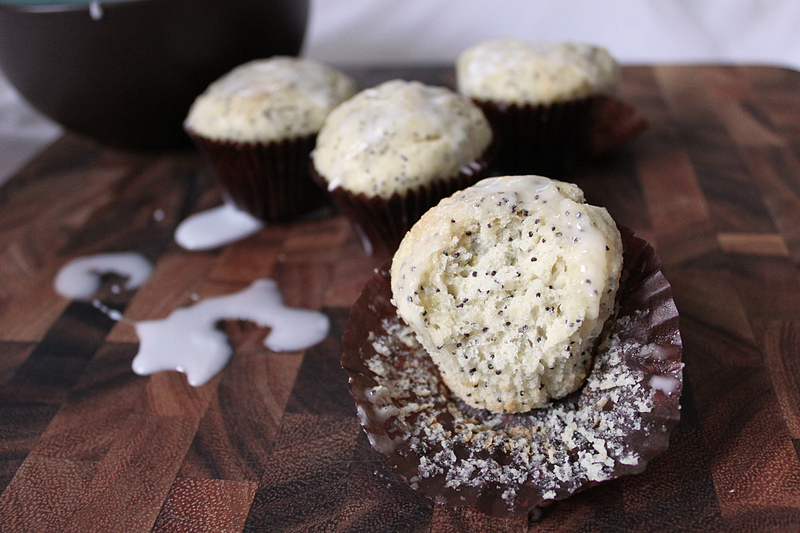 First up…one of my favorite muffins ever, lemon poppy seed. The first time I tasted this tart, crunchy, breakfast sweet, I was in the first grade. My class was reading a story that somehow involved lemon poppy seed muffins but I can’t really recall the book nor in what capacity the muffins played a role. All I do remember is that one of the mothers in the class decided to bake the sweet little cakes and bring them in as a treat for us kids and how amazed I was that she had brought the muffins from our storybook to life; it totally boggled my six year old mind. I truly thought there was something magical about this speckled, lemony sweet bread. Many (many!) 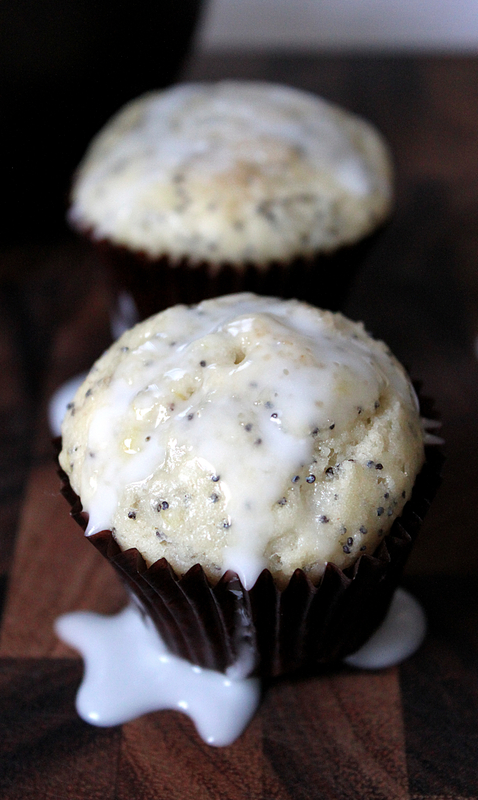 moons later, I still hold a strong affinity towards lemon poppy seed muffins. Recipe after the jump. Enjoy! Place a rack in the center of the oven and preheat oven to 400 degrees F. Prepare a muffin tray with cupcake liners. In a large bowl, rub the granulated sugar with the lemon zest until the sugar is lightly colored and scented with lemon. Whisk in the flour, baking powder, baking soda and salt. Set aside. In a medium-sized bowl whisk together the eggs, buttermilk, vanilla extract, melted butter and lemon juice. Add the wet ingredients to the dry ingredients and fold together. When almost thoroughly mixed, add the poppy seeds. Divide batter between muffin cups. Sprinkle each with turbinado sugar. Note: The glaze does not freeze or refrigerate well so glaze just before serving. These look wonderful, especially with the lovely glaze in the close ups! I can’t wait to make them soon!